ALL MY ANIMALS HAVE FOUND NEW HOMES! THANK YOU TO EVERYONE WHO ADOPTED MY BEAUTIFUL PETS! SOLD TO CLAIR LUEKE OF KNOXVILLE! 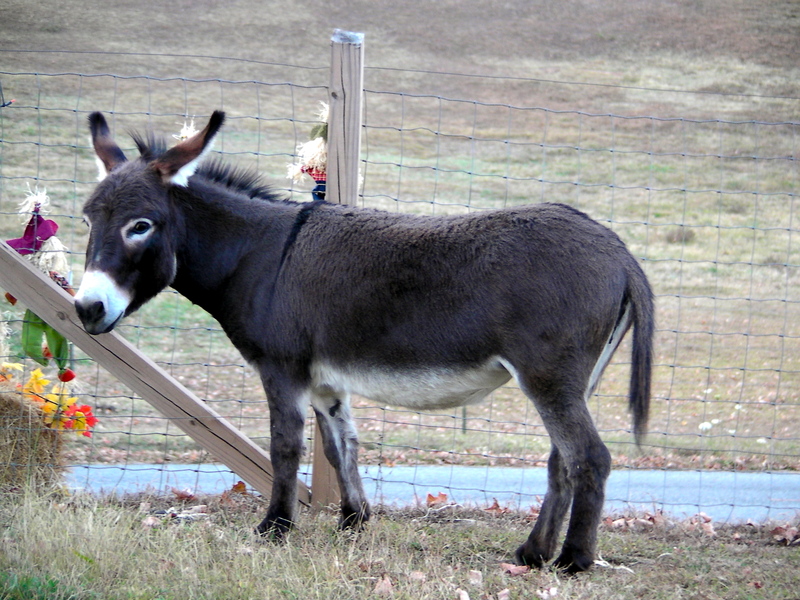 Madigan & Daisty June – registerable miniature donkey jennies. Madigan is about 34 inches & DJ is a little smaller & a little more delicate. They are red in color but for some reason the breeder calls this black. 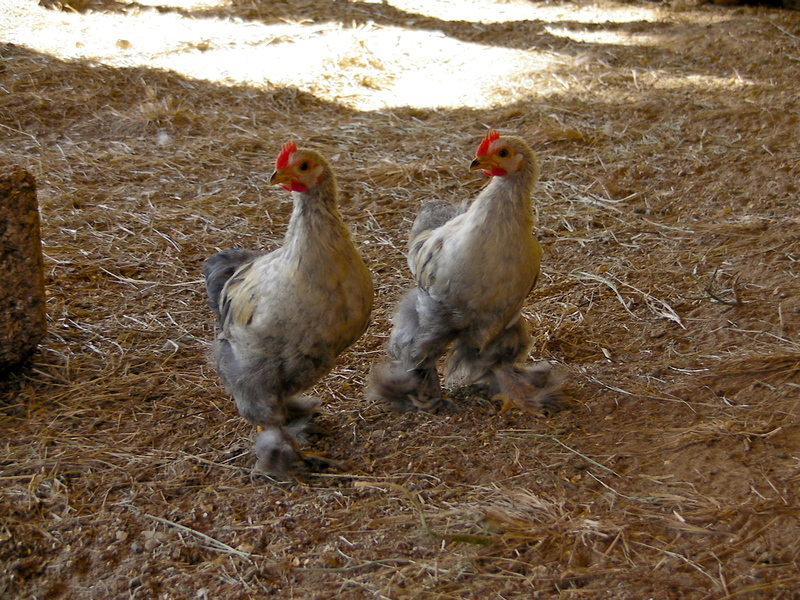 I’d like to get $800 for the pair (they are joined at the hip), but will consider any reasonable offer. 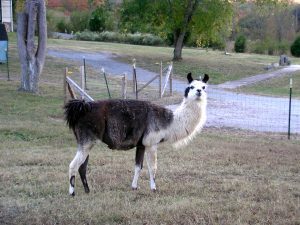 Both are very gentle, tame, will follow like puppies and can also be ridden. Turned 3 earlier this summer. Ready to breed! Both love to play & will load in and out of trailer without any problems. 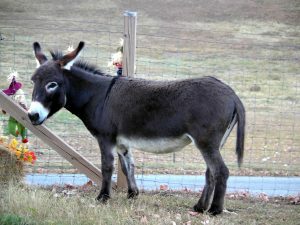 Excellent guard donkeys – will chase anything – including large dogs! 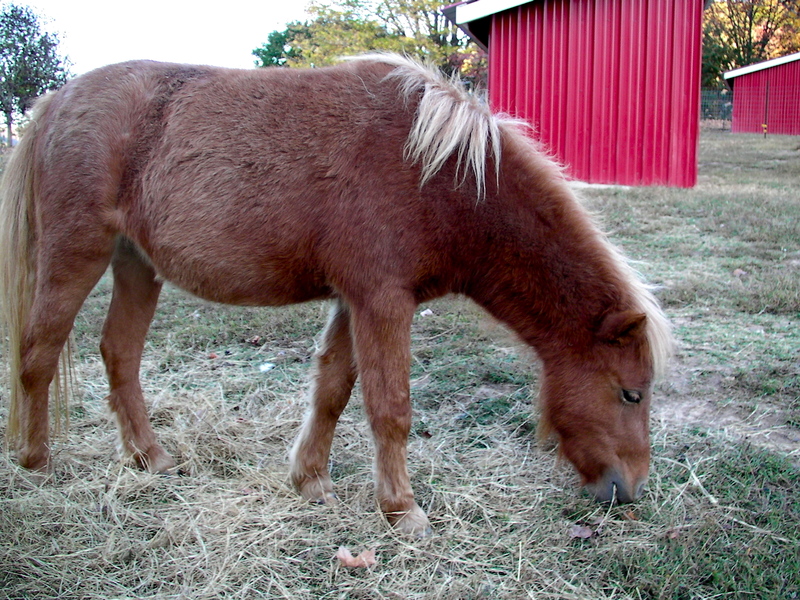 Buddy is a 5 year old miniature gelding. 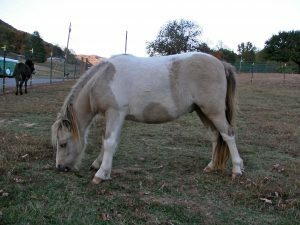 He stands just under 40 inches at the base of his mane. 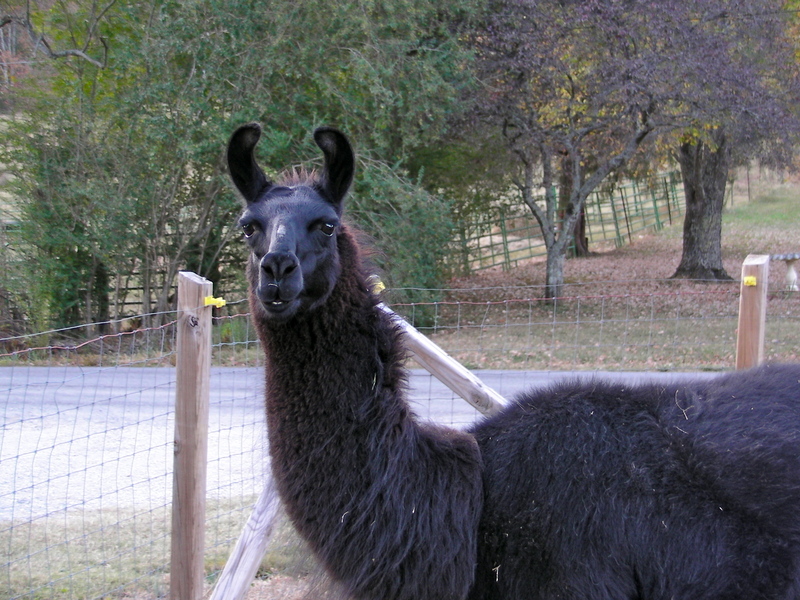 He’s totally tame, loves to be ridden & is very patient with kids. His rear left stifle joint clicks & pops but the vet & farrier have assured me that there is nothing to be concerned about. His joints are not inflamed and he is not lame. Stands well for farrier & loads like a pro! $400.00. Saddle available. Toffee is a little red roan registered miniature filly that turned 2 this past June. She’s about 37 inches at the base of her mane. I’ve had her since she was about 5 months. 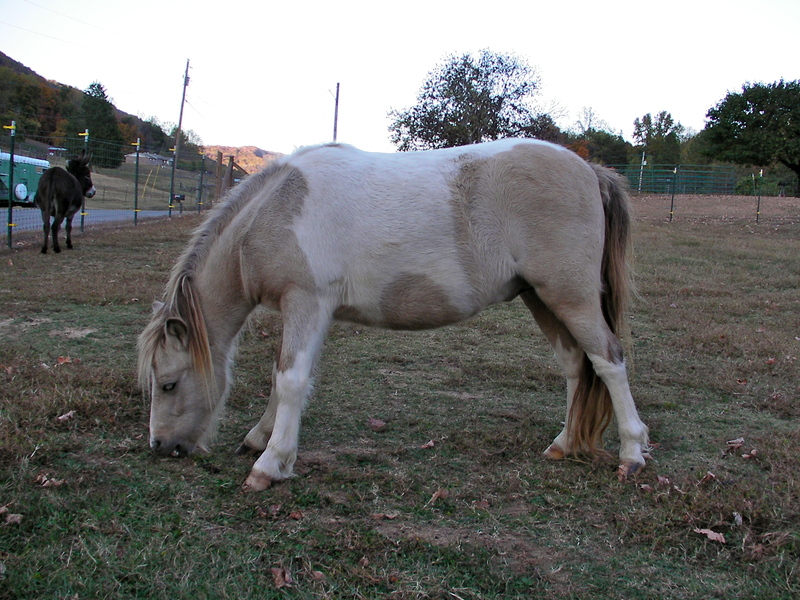 She still has her foal fuzz… She is very gentle, people friendly & follows like a puppy. She’s had very small toddlers ride her on a small saddle & she’s never bucked or kicked. Stands well for farrier & loads like a pro! She’s Buddy’s BFF & cannot be separated from him. They play like children and spend hours grooming each other. $400. Saddle available. 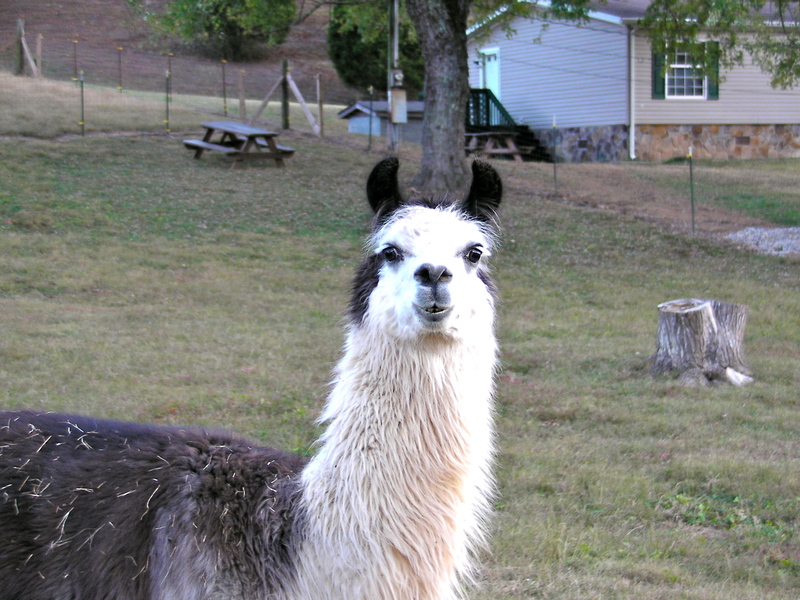 Gelded Llamas… Perfect lawn ornaments! Honestly, that’s all they’re good for but they sure are pleasant to look at. Elegant creatures & very easy keepers – pasture, hay & a cup of Senior Equine every morning if you want to keep them friendly. $700 for the pair. Stormy is a retired show winner & Major’s fiber is highly sought after. Both are very gentle, never spit or kick & are easily haltered. Both registered and come fully documented. They stand still while you clip them with electric shears & give them their yearly pedicure. 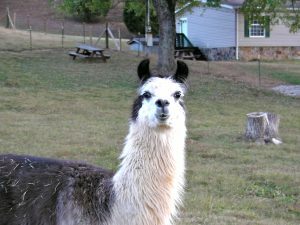 I wouldn’t recommend them as guard llamas – these guys are extremely gentle & love to be around goats, especially during kidding time. A must if you have baby goats in the winter. They will snuggle against Stormy & stay warm! I also have several Bantam Cochin chicks/chickens of all sizes and colors. They lay teeny, tiny eggs and are excellent brood hens. Please contact me for more info.. I also have more pictures & videos on my Flickr page! 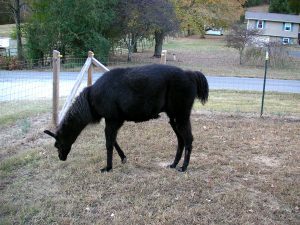 Baby goats coming March 2011! If you don’t own any goats I will not sell you only one – to do so would only create a very sad goat. My goats go to good homes only as pets – these are not for meat purposes! All goats sold are vaccinated, wormed & hooves trimmed. If you want your grass trimmed, get a lawn mower… not a goat! There are many sites online with all the info you need. I answer only farm animal related questions on this site. Just google “housebreaking a puppy”. I just wanted to let you know that we took our fainting goats to their first show this weekend and did wonderful. Goldie placed 2nd and lady bug (Out of Nila) won her class. Thought you might like to know. Thanks. Wow! I didn’t think Goldie had it in her! I’m so glad you’ve got winners! Thanks for keeping me posted! Thanks! But I’m really not crazy.. just crazy about my critters!